Hello Elite Hackers! Welcome to my 3rd Post, which explains how to hack any account like G-mail, Facebook, etc. You can also use this technique to hack/spoof messengers like Facebook or WhatsApp etc. After the Meterpreter Prompt shows up, leave it there. Open up a browser, goto www.gmail.com, Enter the Victim's E-Mail address. Now, Click "I dont know"
But nevermind we will continue to exploit and take the risks. 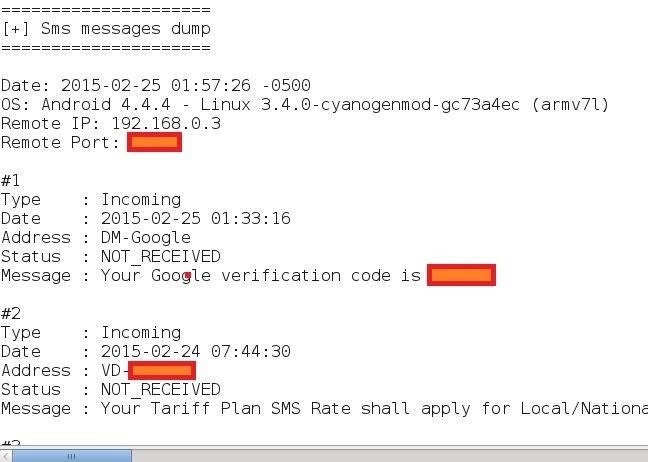 Type : dump_sms to gather/dump all the messages to root folder. Goto the root folder of Kali and open the .txt file where all the messages had been dumped. Put the Verification code to the Account Recovery Help. Nope, You cannot delete the message until the hacked phone is rooted. 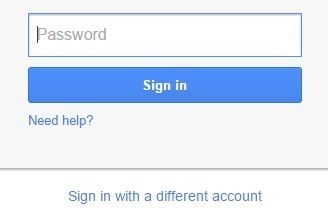 Now that you have hacked google account, you can hack facebook for sure or any other account. 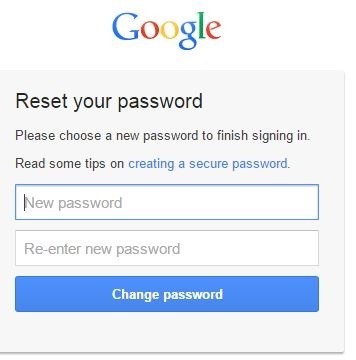 This is the cleverest( or you could say nastiest ;) ) way to hack a Google account! pretty impressive and thanks for the useful article! I'll make more tutorials like this, just keep coming back! Very useful article.. Could you help me out with something? How can i prevent my android from being hacked by very insecure/ jealous boyfriend & his tech/hacker friend? Are there ways to make sure he isnt able to dig through my info on my phone such as old deleted texts or messages sent through apps? NIcE!!! Great TUT I have yet to try your initial android hack but looking forward to it after this article heh. BTW haven't got a chance to take a creen shot of that issue with that windows 7 hack. Will eventually. Keep up the Good Work! After that log into the (default) administrator account. Make a copy of cmd present there, rename this copy as sethc. And BOOM! cmd pops-up with system(highest) priviliges. EDIT: You can verify by typing explorer.exe, press enter. EDIT: After its complete goto start and see the name of the account. Use this method as a test, until then I'll search for some other commands that enables boot screen on your HP. 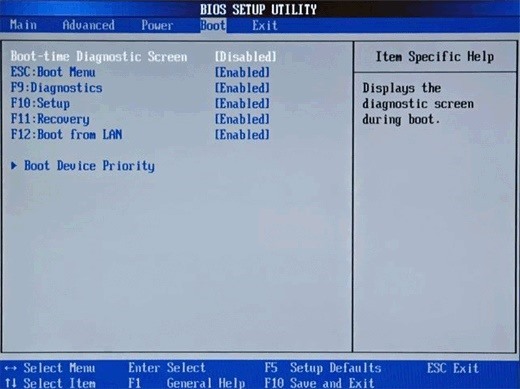 I think you know how to open the BIOS SETUP. This is pretty nifty and quite clever. I have been reading many tutorials on this site but recently I have cake across a problem that I haven't found an answer to. I made a few accounts on my phone that were for a game and testing purposes, well one of the takes I played ended up switching my associated gmail to a trash acct which I no longer have the info for. Is there a way to run a user enumeration through google recovery or sign up page? I don't think so, if I understand your question correctly. I can't send messages because first I need to confirm my Email. However, I haven't yet received it from wonderhowto. Could you please look into it. I also don't seem to have any Android commands listed when I look at th meterpreter help..
More details: Go here and read the comments at the end. That's the odd thing, I thought that might be the problem too, but it's completely up to date, and the problem persists. I will have to try this out on some consenting friends to be sure it's not my devices causing this... I've only two androids, one is kind of old, but the other is only a year old and should work.. If you type "help" on the meterpreter you can see all the commands available. Therefore you can make sure you spelled everything correctly. Don't worry the device doesn't need to be rooted, but still, run that and tell the result. I actually used it thrice but success was only 2 times. My android was not rooted and had CM11 , and meterpreter showed me that it's rooted? Why? How? And same with some other phones. Sometimes there can be small errors like that. Maybe there is something else on your phone that makes it look like it's rooted. Download an app from the Google Play Store called "Check Root" and see if it is the same result there. is there recommended time period between you seeing "enter password rest code" appeared and completing it" ? nice tutorial thank u, but how to delete the message if the victims phone is not rooted ????? plz respond. Nope, you can't until, you have physical access or android is rooted. If the phone number is not tied to Android system, could I obtain the phone number anyway?? PLease answer me ASAP, thank you! Not until you know the account's credentials and the phone number was linked/saved in that account. Is there any way to knw that the target is using which OS based phone.. i mean Andorid/WP/iphone .. How to know his phone's OS.. so to move forward with related trick. ..
Well, you should know the target before you exploit it of-course. This exploit will only work for Android. Attach a screenshot of the issue, can you? One question though, you've written "You can also use this technique to hack/spoof messengers like Facebook or WhatsApp etc." Can you please elaborate or post another tutorial showing how to do this? I've made a video tutorial for this hack. quite informative and useful as well thanks mate... .!! is there any needs to forward port? and shall i use ipv4 ip in kali when i type ifconfig? You can say am still new to those stuff am trying to develop myself, can u hand me some help? And abt this topic, what can i do if the victim's phone was an iphone ? i thinked of that before.. but there is two issues u cant deleted the sms because mostly the phone is not rooted.. and the second is when the victem recieve the sms the phone will ring.